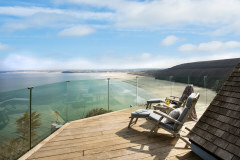 Follow the coast road and arrive at this wonderful Cornish stone cottage in the heart of magical west Cornwall. Whether you are looking for a luxury base to escape for a while, are seeking the perfect family home-from-home for a summer adventure or want to explore the myth and legend of the area then Stonesthrow Cottage is the dream Gem for you. Set within four acres of verdant green fields flanked with traditional stone walls, the picture perfect cottage offers three spacious bedrooms, three bathrooms and a realxed open plan social spaces. 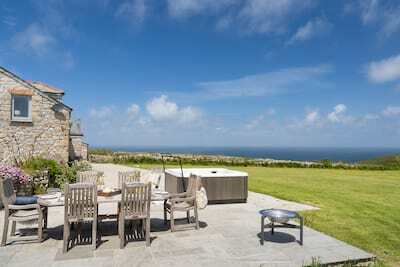 The characterful garden even offers a luxury hot tub with sea views! 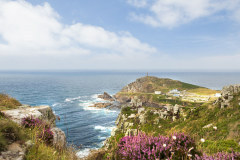 From your holiday door, step out into the natural beauty of Penwith including Sennen, Land's End, Portherras Beach, Porthcurno and many more iconic haunts (you may even spot Poldark himself!) Dogs are most welcome to stay too and the cottage has been thoughtfully kitted out for your four legged companion. 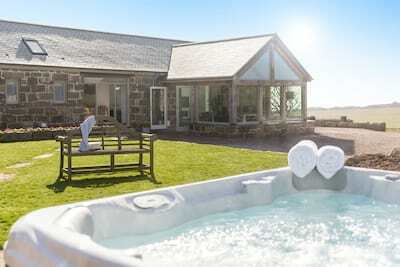 From the moment you arrive, this attractive stone Cornish cottage invites you to live like the locals and enjoy a very relaxed holiday within the peaceful setting. Open the door and step into the hub of the house, the open plan living and dining space complete with stone floor, inglenook fireplace and stylish decor with bursts of mustard yellows and coastal blues. This versatile space is as perfect for cosy winter stays and lazy summer days as holiday life flows. Lead through to the country kitchen and enjoy the rural views across the fields and moorland. With Cornwall firmly on the foodie map, you are never far from tempting ingredients including the freshest of fish straight off the boat in Newlyn. A family bathroom and spacious utility room (perfect for sandy toes and paws) completes the ground floor. A central open tred staircase leads to the first floor and collection of three charming cottage bedrooms. 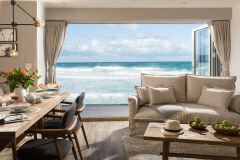 The master bedroom has been beautifully dressed in floral blues and creams and offers a private sit out balcony with sea views and spiral staircase down to the garden. Two further bedrooms each offers their own personality from the soft pinks of the twin to the blues of the king bedded room. A beautiful family bathroom is the perfect place to soak away the day in the free-standing bath. 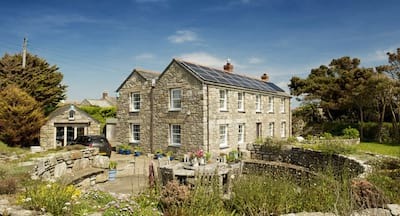 The garden of Stonesthrow Cottage is just beautiful and offers a true taste of west Cornwall with granite walls bordering the patchwork of fields, blue sea views and rolling moorland. To the front of the house, sofas and chairs have been thoughtfully placed to capture the sun, the perfect place for a mornings coffee. From the kitchen, lead into the rear of the cottage with large wooden dining table with seating for all. 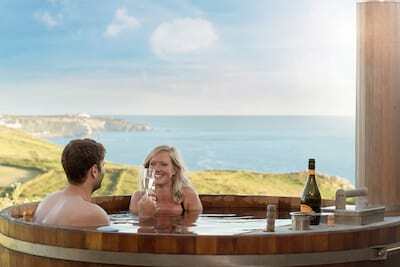 Steps lead to the upper terrace with an indulgent bubbling hot tub sits offering sea views and collection of sun loungers for those oh so lazy days. Children and dogs alike will adore the sense of freedom as they wonder safely from the garden into the fields and explore the 4 acres of land all enclosed by the granite walls. 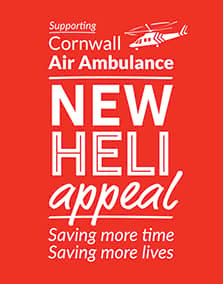 A picnic bench and seating has been set up within the field for al fresco dining amongst the flora and fauna of west Cornwall. The friendly neighbouring horses will surely pay you a daily visit popping their noses over the wall to say hello. From Stonesthrow Cottage you can access the SW coast path a mile away or over the Penwith moors from your doorstep. 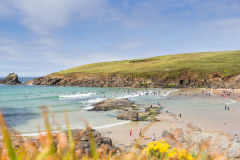 Budding sea swimmers will love a dip in the local cove afterwards or make a dash to hit the surf at Sennen. The fascinating Cornish heritage is wonderful to explore including the mining sites at Levant mine and Geevor mine. This wonderful cottage is a fantastic base from which to explore the reaches of both Cape Cornwall and the entire Penwith Peninsula and its Poldark scenery. 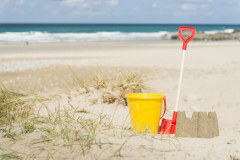 If days at the beach as part of the plan then you are well placed, choose from the stunning Portheras Beach (the nearest beach to the cottage) or explore Porthcurno, Lamorna, Penberth Coves and many more. There are a plethora of places to eat and refuel within the area including The Gurnards Head (well worth a reservation) Geevor Tin Mine Cafe, North Inn within the village and Queens Arms pub at Bottalack. Bedroom three: 1st floor. 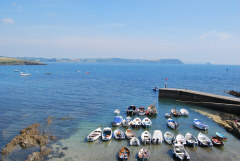 King bedded room with smart TV, ensuite, sea/countryside balcony view with steps leading down to the garden and hot tub. The garden and neighbouring fields are enclosed offering children and dogs the freedom to roam through 3 fields bordered by stone walling. There is level access from the parking area to the front door. The garden is mainly level but there are a few steps up to the upper terrace with the hot tub. One internal flight of stairs with handrail. A superb cottage in an ideal spot. Stunning scenery and wonderful beaches. Thank you very much. A beautiful cottage- all very comfy and welcoming especially the hot tub after a blustery costal walk. Superb! we had a fantastic family holiday at Stonesthrow Cottage. We can't wait to return. In love with Stonesthrow! What a house and location loved every minute of our stay and can't wait to return. Beautiful cottage in a gorgeous location. Sunset at Pendeen lighthouse magical. 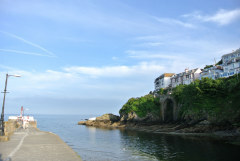 Excellent house for touring Cornwall. Loved everything. A perfect cottage for our family stay. Wonderful for exploring this lovely area and good to come back to a comfortable cosy haven at the end of the day. A wonderful cottage. Very comfortable with great views. We have had a great week exploring the area. A magical stay! a super cottage wonderfully cosy with all mod cons. Great location for a fantastic two weeks. Lots to do and see a very relaxing break and a perfect holiday. An amazing cottage with picture perfect scenery. Very modern comfortable and cosy. Thank you so much. A stunning cottage, beautifully furnished and decorated. A wonderful home from home. The garden is lovely and having the fields to play in was fantastic. Having a bathroom next to the utility was great for washing wet suits and wet dogs, loved the hot tub. Picture perfect cottage and location. Great time had by all. Thank you See you next Year! 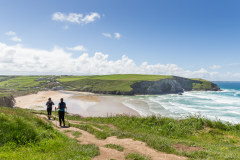 A wonderful holiday in a beautiful part of Cornwall enjoyed the hot weather in the garden and the walk to Portherras cove is well worth the effort stunning views.